Everyone loves the look of a coordinated dessert table with a fun table backdrop but rarely do we want to spend a lot to create that look. 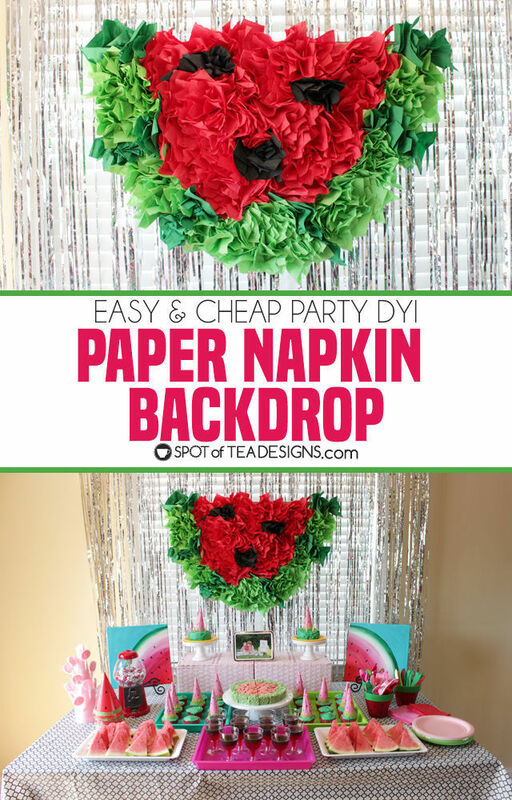 See how to use simple party supplies, like paper napkins, and a recycled piece of cardboard to create a custom design for your party! 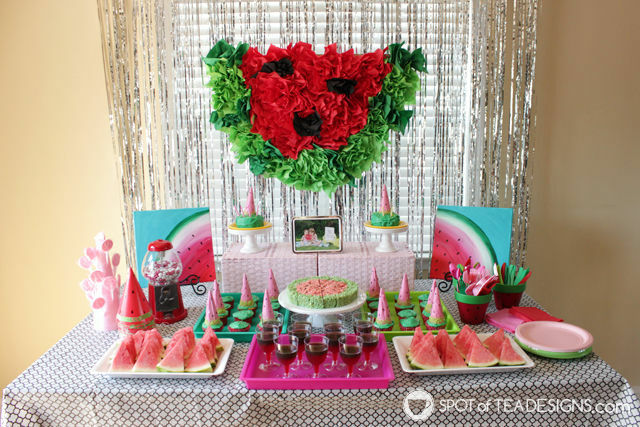 Check out the fun watermelon paper napkin party backdrop recently made for a watermelon birthday party! 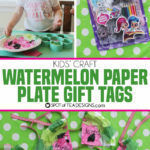 Sure I went with a watermelon design but you could easily create any design to fit your party theme with cheap paper napkins! 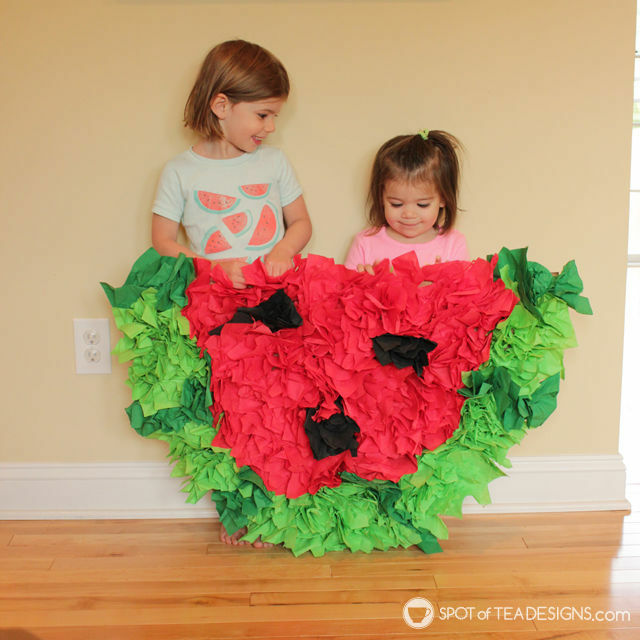 Draw and cut out your desired shape from cardboard or foam core. 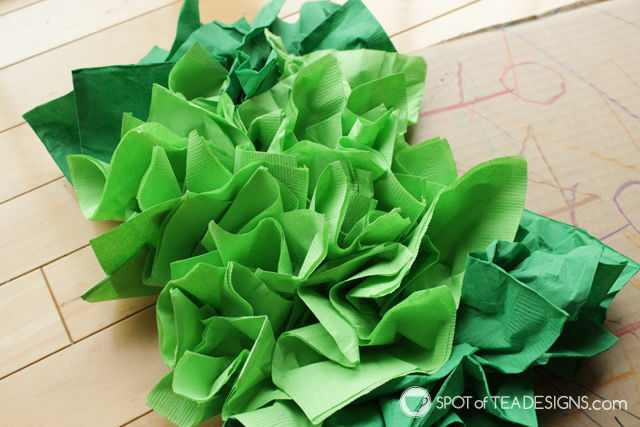 Unfold paper napkin and cut along folded seams. You really only need 1 ply squares. 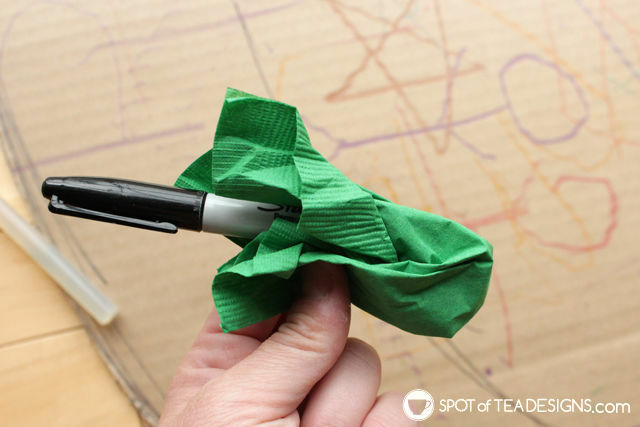 Hold the paper napkin square in one hand and place marker in the center. Use your hand to cup around this shape. 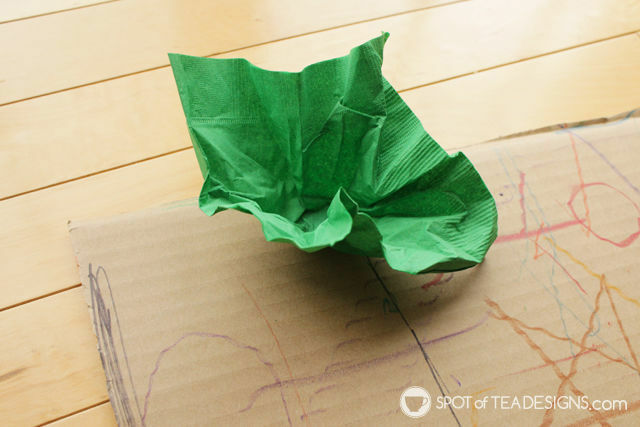 Apply hot glue at the tip of the napkin and press down to place this wadded shape onto the cardboard. 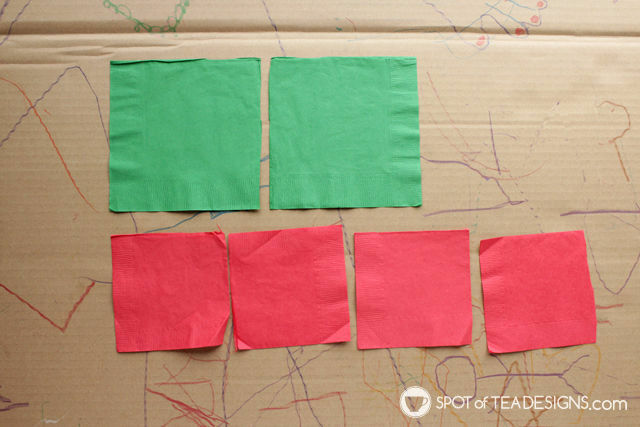 Repeat these steps to cover the cardboard shape in the desired pattern. 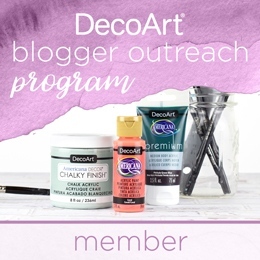 When the wadded pieces are glued next to one another they hold each other up and can be fluffed to fill in this space to create a fun party backdrop. Here it is all finished prior to hanging so you can understand the size that this thing was. Best part? 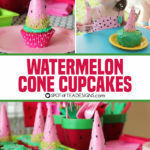 It only cost me $1 in an extra pack of green napkins since I already had the others from previous party shoots! 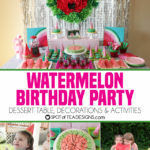 Once complete, display your party backdrop over your dessert or food table. 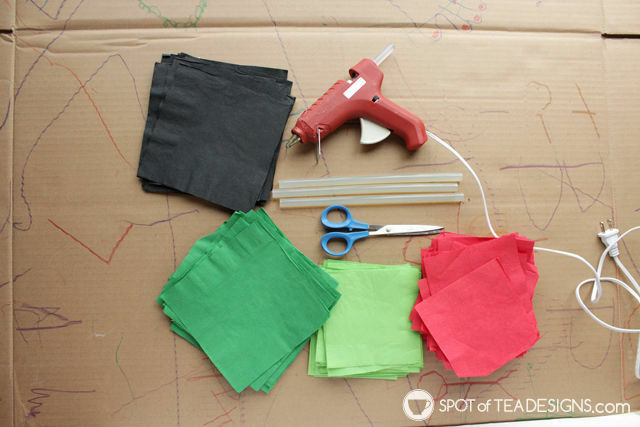 Luckily in my kitchen we have a curtain rod over the window so I often use this to hang party backdrops. 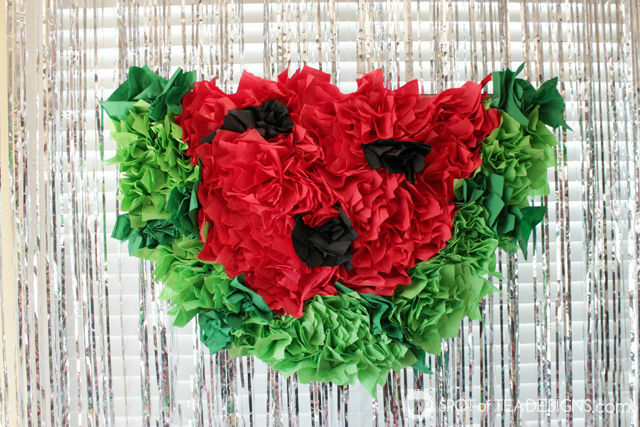 With the use of fishing line and a few strategic holes in the cardboard, my watermelon design held up, or rather hung down, as a fun party backdrop. 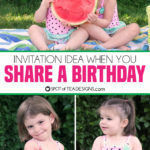 See more of the watermelon birthday party here and look for more posts coming soon.